To mark the upcoming release of Splatoon 2 on the Nintendo Switch this Friday, July 21st, GameStop is hosting in-store “game-athons” in 5 of their Irish stores including Blanchardstown, Athlone and Patrick’s Street, Cork on Saturday 22nd. Splatoon 2 fans and their families are invited to come to one the selected GameStop’s stores in either Athlone, Blanchardstown, The Pavilions Swords, Gorey and Patrick’s Street in Cork between 1-3pm with their Nintendo Switch’s to play against each other on the newly launched Splatoon 2 and make some new Splatoon 2 friends in the process! July 18th 2017: Global gaming experts, GameStop, are inviting fans of the Splatoon phenomenon to come down and play with fellow gamers at selected local stores nationwide. July 21st is the long awaited release date of Splatoon 2 and GameStop are celebrating with some exciting in-store events on Saturday July 22nd. At numerous stores in Dublin, Westmeath, Cork and Wexford, gamers can bring their Nintendo Switch devise to their local store, pick up their copy of Splatoon 2 and connect with fellow gamers immediately! 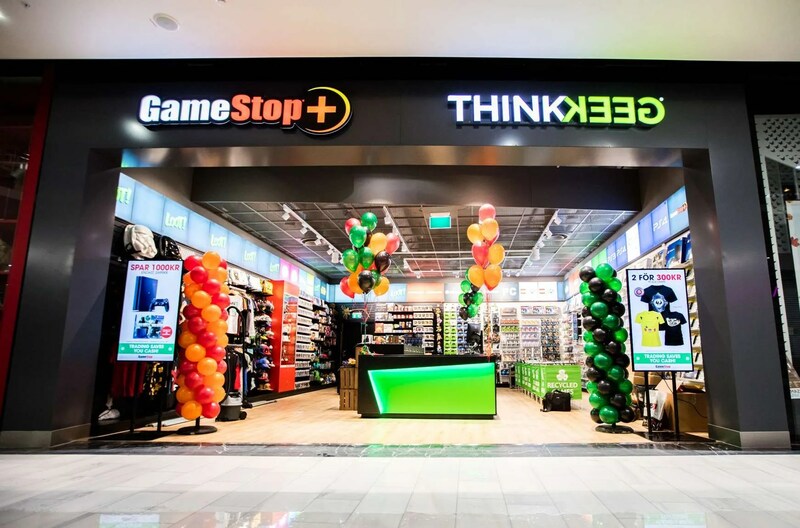 The gaming event is part of a series that GameStop are rolling out nationwide to encourage a more social aspect of gaming in Ireland. Splatoon has a cult following around the world and fans of the game are finally going to get to see the exciting differences in Splatoon 2. The sequel has added features, enhanced graphics and exciting multiplayer functions, with up eight gamers being able to play against each other at a time, the perfect title for an afternoon of gaming at your local GameStop. As a Nintendo Switch exclusive, Splatoon 2 adds another great title to the console for multiplayer activities. Thomas Mallon, Marketing Manager for GameStop Norther Europe, said “We’re really excited to run these events in stores across Ireland. Splatoon 2 is the perfect title for kids to come down to the store with their families and enjoy playing against fellow gaming fans making for a fun Saturday afternoon”.